The Handyguys answer a basement remodeling question and then list some basement mistakes. The basement finishing topic is popular among handy folks around the home. Many handyguys across America and the world have basements that they want to remodel to create new livable space. Basements are no longer scary, dungy places but can become vital living spaces to your home. But before you you begin finishing your basement, listen to our basement series and then listen to this episode about mistakes that “some” handyguys make when working on their basement. I have recently found your show and appreciate your knowledge and help. I figured as a new homeowner who likes to constantly improve his house, I would try to get you opinion on a project I am thinking of taking on during the cold season here in New England. We are thinking of finishing a portion of our basement for a rec/bar room. After doing some research about how to refinish I have read about the traditional way of framing walls, using rolled insulation and drywall. There is another method of using furring strips attached directly to the foundation and foam board for insulation. I was wondering if you had comments on either method or why I would want to stay away from either method. Between the two I had been planning on framing everything out, however the simplicity and lower costs of furring strips is attractive. This does come with some disadvantages (attaching directly to the foundation). With building frames I would have to rerun the forced water baseboards, which is a little more complicated. Overall my basement is very dry, there is one crack, and it is sealed with epoxy injection. The house is almost eight years old and already has cables and outlets run.Thanks for the help if you get to me! The Handyguys are not thrilled about the furring strip technique. Sure you might save some time and money with this technique, but there are many drawbacks. We emailed Mike some suggestions.Â Listen to the podcast for details. 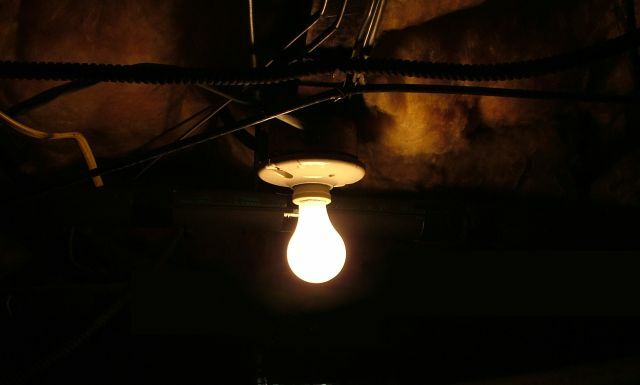 The Handyguys spend some time listing out key basement design mistakes. In this segment, Paul and Brian each prepare their own list independently without telling one another and then reveal their items live on the show. Here is a summary of the Handyguys basement finishing/remodeling mistakes. Please listen to the podcast for more details (and to see who comes up with more mistakes!). You begin finishing a basement that is not a good candidate for finishing…. C heck out our episode #17 – “Is Your Basement Ready?” to help you determine whether your basement is ready. Poor Capacity sizing and planning for utilities (HVAC and electric). Assuming that drop or suspension ceilings are cheaper then a finished drywall ceiling. Poor planning of low voltage wiring locations. Trying to do it all yourself (i.e. not subbing out some aspects of the job as necessary). Improper planning of combustion air availability for utilities. Not using pressure treated wood for bottom plates and anywhere wood is in contact with concrete. Chopping up basement space into many small rooms which can create an awkward flow and unused space. Do you have some better ideas of basement mistakes in basement design? Let us know if you do. This post is a new addition to our basement finishing series. I finished my Rec room ceiling by putting the hi-hat lights in ceiling and living for over a year without dry wall on ceiling, so I could change the light positions as needed. I indeed did change 3 or 4 of them, to go the right spot. I realize that the dropped ceiling may be more expensive then drywall, but knowing how many wires (electrical, cat-5e, RG-6) that I have routed above our dropped ceiling in the basement, it just feels wrong to drywall it and lose access to everything on the 1st floor. I agree that it does look better to have a drywall ceiling though. Thanks for the comment Kevin – I too have many wires above my basement ceiling. Come to think of it, I have lots of wires between my 1st and second floors too. Lots of pipes in them walls and ceilings too. I agree that a drop ceiling is better if you have a lot of wires that might be changing frequently. If you can get a plan together and run all your wires before doing the ceiling then there should be no need to do a drop ceiling. Maybe run some conduit or put in some pull strings for later wire running if possible. Great list of things to watch out for, guys. I think your first point regard your basement being ready is especially important. All too often homeowners go out and spend hundreds and thousands of dollars on materials and preparation, and haven’t fully considered the possibility of a moisture or structural issue first. This is really interesting. We are currently in the plans of turning our unused basement into a home theater.